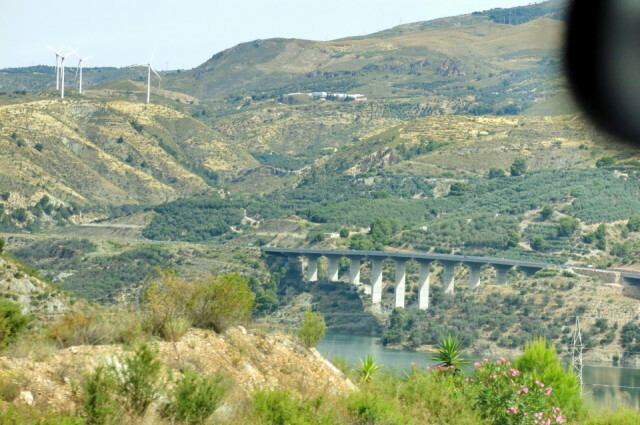 The reservoirs are full to the brim and the fields still preserve some green plants at the beginning of July. All in all it was a good year for rain. 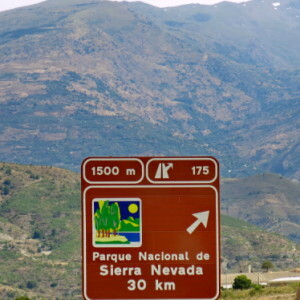 Here is the landscape of the south side of Sierra Nevada as seen on our way back to Granada from the coast. Some patches of snow can still be seen on the highest peaks in the extra photo. It was a Saturday and we did not fancy sharing our small area of the sand on the beach with the weekend holiday makers.